BARCELONA, March 2, 2015 – Today at Mobile World Congress, Telstra and Cisco announced their intention to extend their strategic collaboration by giving Telstra’s domestic and global business customers a unified, on-demand suite of cloud and managed network services. Kelly Ahuja, Senior Vice President of Cisco's Service Provider Business, Products, and Solutions, said the open architecture will be built on Cisco’s Evolved Services Platform (ESP), the industry's most comprehensive virtualization and orchestration software platform, which creates, automates and provisions services in real time across compute, storage and network functions. The result will be new Telstra “ready to consume” services that can be rapidly deployed through a single self-service portal, and will enable customers to connect private and public clouds and managed network services in a manner that has not previously been possible. 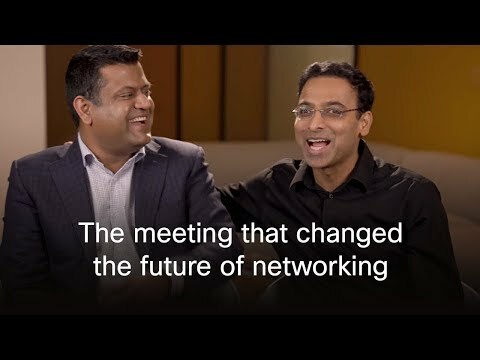 “Cisco is honored to work with Telstra. Using our collective breadth of innovation and capabilities, we are co-creating new solutions that will address key business challenges through a transformational architecture. Together, we intend to bring to market an open platform that will transform the customer experience and revolutionize the way cloud, network, and managed services are deployed, delivered and consumed,” Ahuja said. Telstra Chief Operations Officer Kate McKenzie said while cloud and software services had turned traditional server, storage and application use and provisioning upside down, the network had remained fairly static when it came to service provisioning. “In a nut shell, we want to transform our network services so they become instantaneous – purchased and provisioned in the same manner as cloud. “The new services are a direct response to our customers’ need to rapidly respond to changing market dynamics that pose direct challenges to IT. Increasingly, customers are being asked to adapt to a competitive business environment by quickly developing and implementing differentiated business services in an application-driven, digital economy. As such, they’re sensitive to the need to rapidly innovate and deploy using the cloud in a highly secure and controlled way, but at the same time, reducing and managing costs. “To assist them, Telstra is building innovative services in a way that our customers have told us they want to consume them – on demand. With Cisco, we will create a world-leading open network platform and software defined experience so customers can bring together the benefits of cloud and managed network services all through a single, self-service platform, with drag and drop functionality. “Our vision is for our customers to no longer be restricted by operational complexity, rigid processes, lengthy delays or long provisioning, installation and repair cycles. The launch of these next generation network products will enable the consumption of network services to be as easy as consuming cloud and apps,” McKenzie said.